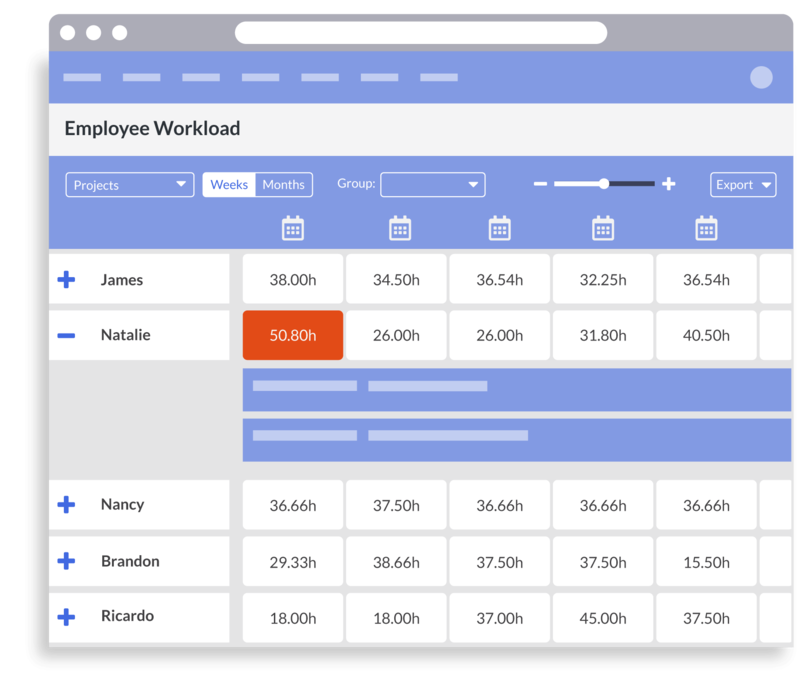 Introducing Employee Workload - a resource allocation and planning tool that gives a birds-eye view of the organization so that you can answer vital business questions as you plan that new project. Your ability to react to new opportunities is key to your competitive advantage. Projects continuously pop up, and you need to know specific availability and if you have the resources to take on something new. If not, you need to know where employees are spending their time. With Dovico's new resource allocation solution you'll always have the comprehensive knowledge and deep insight needed to make the right business decisions. Informed choices that give your team new-found confidence in your leadership. Employee confidence is key to your success. The new employee workload view is your window into the projects and tasks each employee is scheduled to work on and when. Workload Dashboard As you plan each new project, you'll now be able to answer business-critical questions that will improve insight into your organizations' capacity, understand which projects are on track, and help reduce employee burn-out by knowing who's over-allocated and why. Quickly filter by project and zoom in/out to a specific date range on the timeline. Budgeted Hours Timeline Drill-down to know each employees capacity and availability. Expand an employee’s row to see all the projects to which the employee is assigned, plus any time booked off as a vacation. Over-allocated hours are displayed in red. Improve visibility into project health and react faster to new opportunities. Do I have enough resources to take on this project, is a question you'll never have to ask yourself again. With the workload dashboard as well as employee availability indicators during project setup, you now have the resource data and visibility needed for successful project execution. Project Resource Planning & Scheduling No-longer waste time sifting through spreadsheets. Stay updated with a company-wide schedule that's easily accessible by key decision makers. 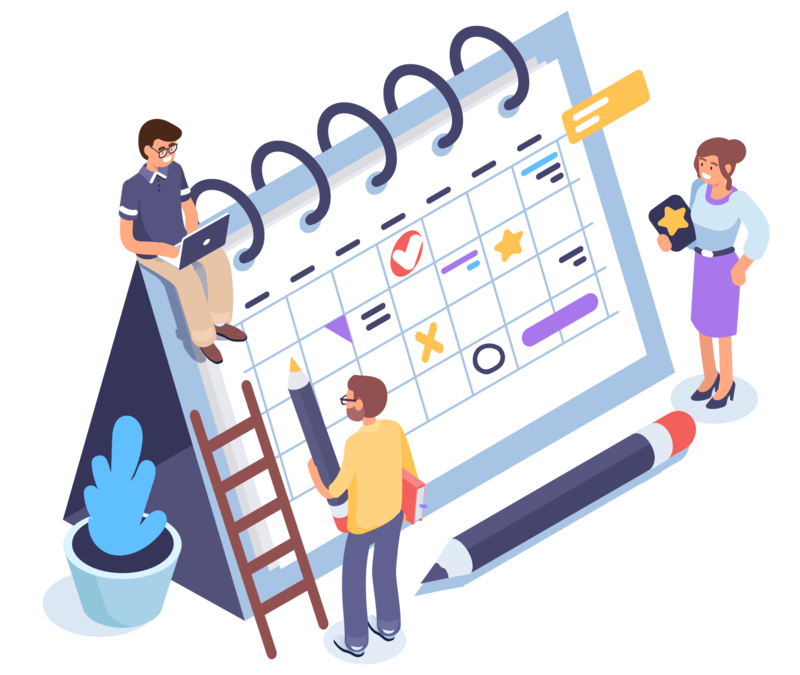 Instantly account for employees, their timelines and drill-down to see the budgeted hours for the project they are working on. Real-time Employee Availability As you assign new tasks, you can see each employee's available hours for the task date range and know if they have the time available for the project. See this exciting new planning view for yourself by requesting a personal demonstration from one of our helpful staff. The awareness you need to spot over-allocation and prevent employee burnout. Optimal employee utilization is a delicate balancing act and one of the biggest challenges for small business. It's critical that you understand resource capacity with both in-progress and planned projects so that your team can deliver on time and budget. Over-allocation Indicators Achieve the optimal utilization balance and avoid employee burnout with visual indicators that instantly tell you who's over-booked. Your employees will thank you with a better quality of output and increased productivity. 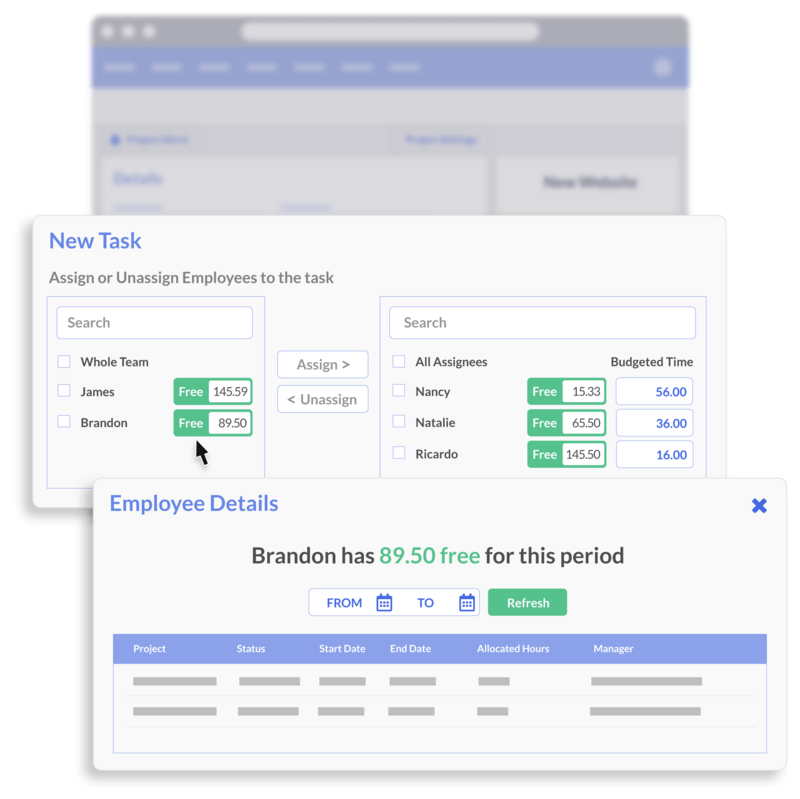 Budgeted vs. Actual Task Hours See how tasks are progressing and if the project is on track by comparing employees budgeted vs. actual time spent when you drill-down on a project in the employee timeline. Easily edit the project to re-shuffle resources on the fly if needed. Workload Grid Export The information you need for your next planning meeting at your fingertips. Select a date range and easily print/export the workload grid so that you can better communicate capacity issues to key stakeholders.